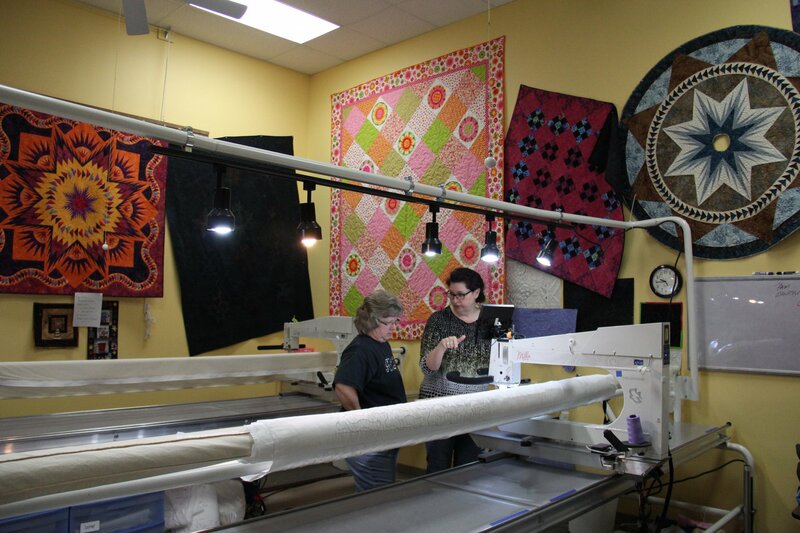 Take this beginning longarm class to learn how to load a quilt and use the machine so you can rent our APQS machines! The class fee is payable by check at the beginning of class. Along with the class instruction on how to use the APQS machines, you will receive a set of zippers and all the tips you need to start quilting your own projects. Once you have taken the Certification Longarm Class, there is a $50.00 minimum charge for the first 2 hours to rent the machine. Each additional hour is $20.00 per hour. There is a $5.00 thread fee per day and batting charges will apply to actual yardage cut.